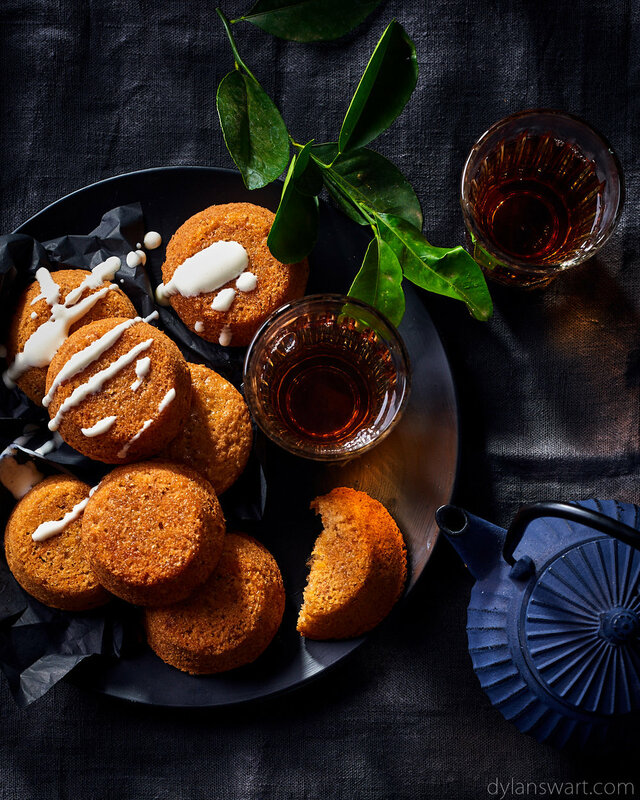 Mini carrot cakes with buttermilk drizzle. This image is part of a root to stem feature. Root to stem eating is the perfect way to stretch your food budget and more importantly, cut food waste.